It was one of those evenings where the temperature was perfect - the warm breezes of the day were slowly being replaced by the cool breezes of night. The energy in the air was perfect, I could feel it, and my friends could feel it, too. It was winter turning to spring in San Francisco. It felt like God was walking through the city that evening - that the pulse of the people talking and moving on the streets was God's own pulse. I recently went with a friend I grew up with, my husband, and my daughter to the Montgomery Theater in San Jose, CA where we watched School House Rock Live. They did a great job of making many of the most well-loved School House Rock characters come alive on stage. A little bit of math, some politics, some grammar, some good music to go with it, and we were all enjoying ourselves no matter what our age. The stage was full of all kinds of talented kids from elementary school to high school. We gave them a standing ovation at the end for doing such a great job. It was fun to see all the Gen Xers there with their kids, nieces, and nephews. Just another fun way of passing down the good stuff from our generation to the next one. Today is the birthday of Dr. Suess, whose books we read as Generation X children, even though a lot of his illustrations we see today were created before our time. 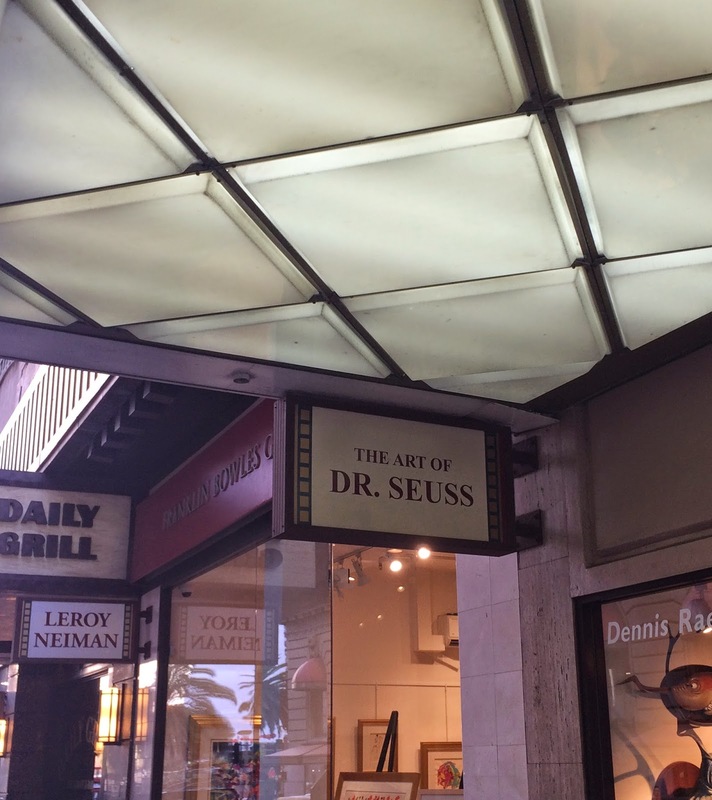 I had a chance to visit the Dr. Suess art gallery in downtown San Francisco with a couple of Gen X friends this past weekend and we thoroughly enjoyed seeing all of his humor and personality come to life through his artwork. The prints on display are great of course, and what I love the most are the 3D images - the little statues of creatures that came from his amazing imagination. Oh, The Thinks You Can Think! came out the year I was born and I must have asked my parents to read to me a thousand times when I was a tot. I think of it as a book that fueled my little-kid imagination as I built cities of wooden blocks on the floor of my bedroom. Oh The Places You'll Go! came out in 1990 as I was in middle school and it reminded me that life was still mostly ahead of me, and that I could find myself anywhere - that the possibilities were endless. If you visit San Francisco, and if you are a Gen Xer whose imagination was sparked by the Dr. Suess images of your childhood, this would be the place to go.